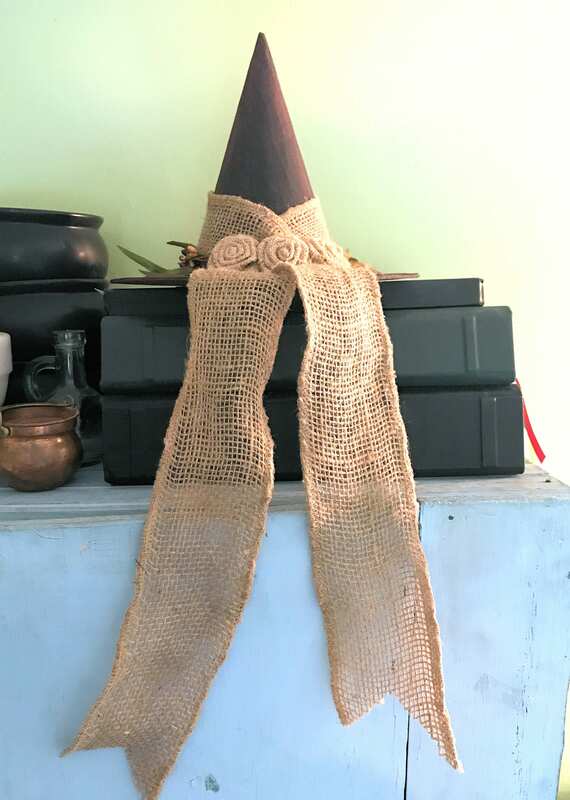 Give your Christmas tree a unique and primitive look! 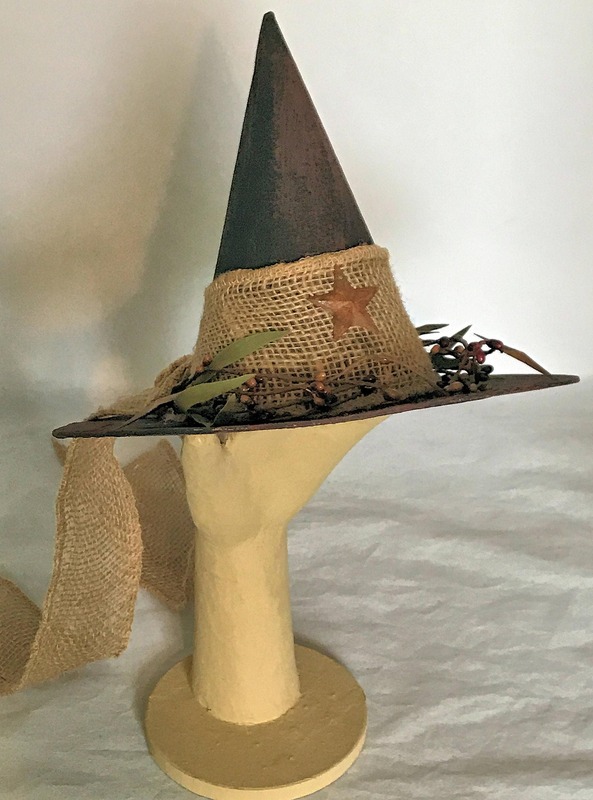 I've created a beautiful line of decorative witch's hats for all year round, they aren't just for Halloween! 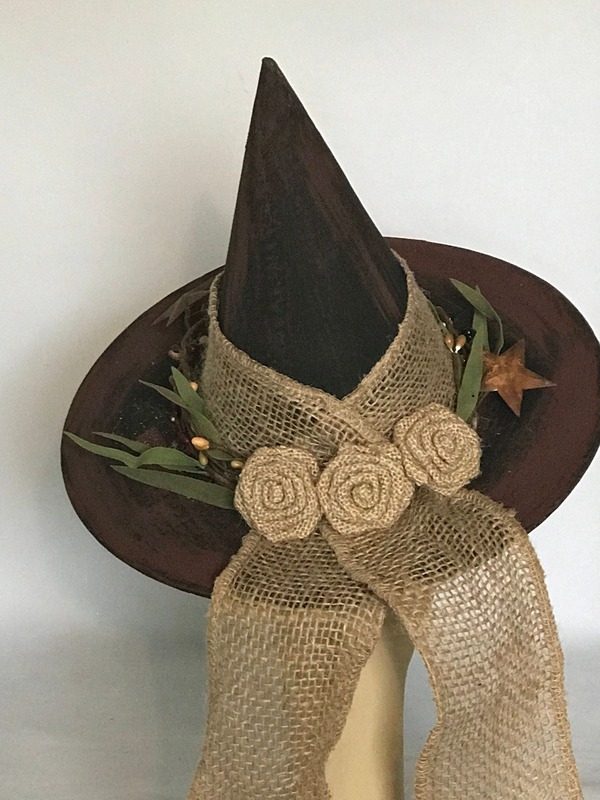 This hat has been painted a basic witch black, accented with warm spice red, wrapped with a long wide burlap ribbon and accented with 3 burlap roses. 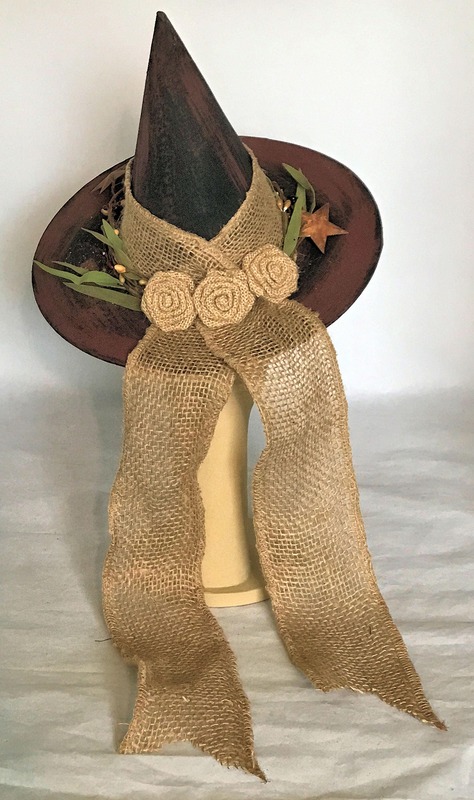 The hat is further accented with maroon and gold berry pip with rusty stars. 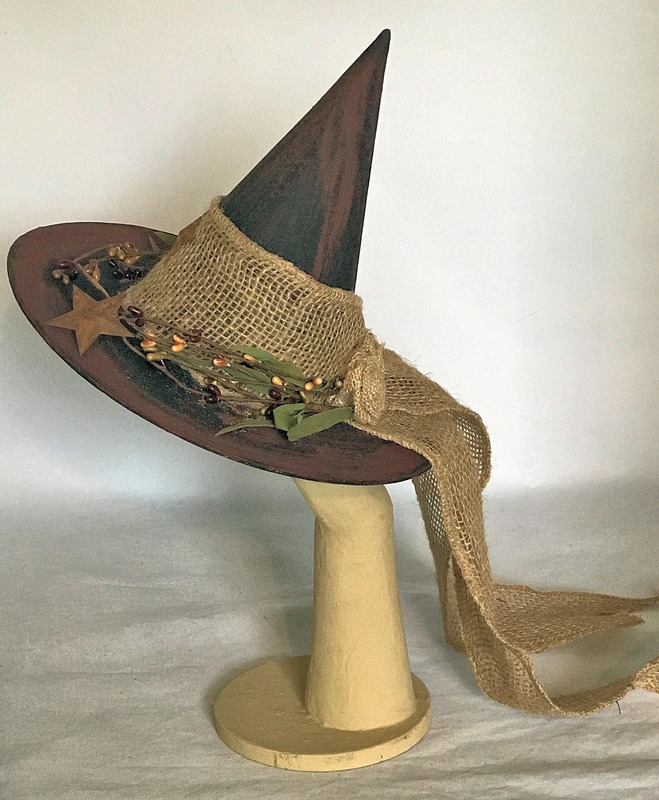 One rusty star on the front of the ribbon for a final accent. The underneath and inside of the hat are also painted the base color. The whole hat is covered with a cinnamon mixture and smells delicious!